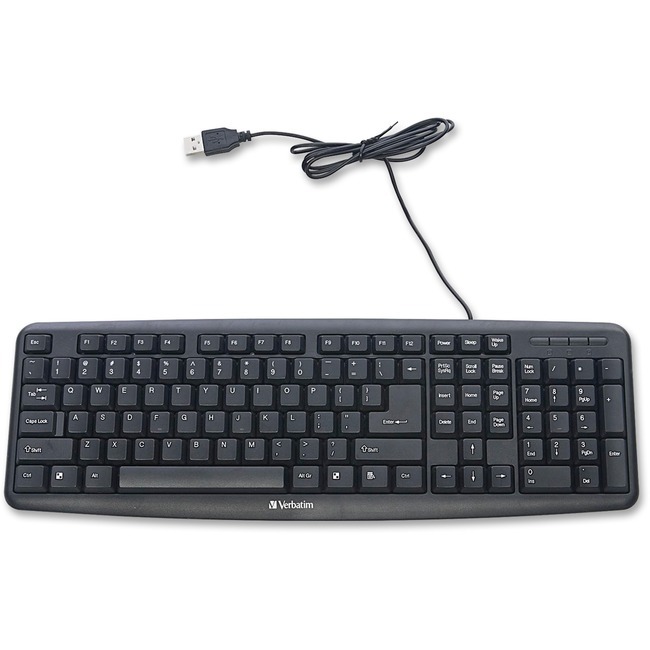 Slimline Corded USB Keyboard offers a better typing experience with its sleek, yet sturdy design and convenient, plug-and-play USB connectivity. It features low-profile keys and adjustable tilt legs for quiet, comfortable typing. Layout provides a full numeric keypad and full-size function keys, all within a slim, efficient design that frees up space on your desktop. Compatible with both Windows and Mac operating systems, the keyboard is a great addition to any corporate or home office work space.